If you are a fishing enthusiast who is looking to get into different types of fishing, consider scheduling a guided fishing trip in Montana. Smith river fly fishing can be a fun and exciting way to change up your normal fishing routine. 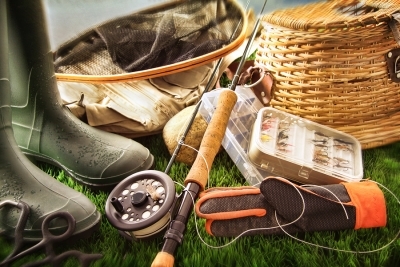 Keep reading to learn how to prepare for your fly fishing trip. In order to ensure that you have the best time possible on your fly fishing trip, it is always a good idea to practice beforehand. This is just as helpful for people who are new to fishing in general as it is to those who are proficient in other types of fishing, such as deep sea fishing; since casting a line is done somewhat differently in fly fishing, this pre-trip practice will help you out quite a bit. Even if you have been on fly fishing trips in the past, it is wise to make sure you still have a handle on casting before setting off again. Try setting up targets and casting in your backyard before the trip to make sure that you are fully prepared to make the most of your trip. If you want to have the best time possible on your fly fishing trip, it is crucial that you communicate with your tour guide. Different people may vary significantly when it comes to fly fishing preferences. Some people may strive to catch the biggest fish possible, while others may be more concerned with quantity. Your guide cannot know what type of excursion you are looking for unless you communicate adequately. You should also be honest about your physical abilities and limitations so that your guide can design a comfortable and rewarding tour. One of the most important aspects of preparing for your fly fishing trip is obtaining the proper fly fishing gear. Be cognizant of the weather and plan for all conditions; wear sunblock even if it is supposed to rain, and be sure to bring water so that you can stay hydrated. It also helps to get a good night’s sleep the night before a trip.